Best Hitting Tips will come from all directions and from everybody so beware of what it really takes to be a teammates hero and to hit the baseball. Stepping into the batters box it is time to do battle it is you and the pitcher nothing else is happening. Natural, Comfortable, Focused Concentration is what Baseball Hitting is all about. 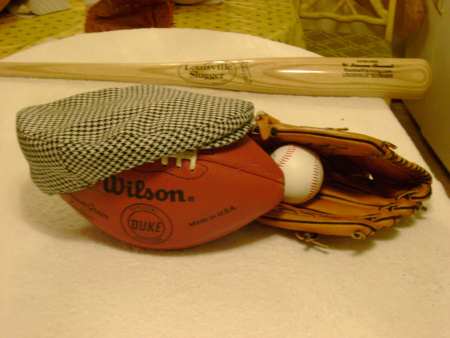 Where is the baseball? Yes it is in the hands of your enemy the pitcher. He will hide it to the best of his ability but you are smart enough to know he has to pitch it sooner or later. If you stand in that batters box natural comfortable and ready nothing will slip by you not even little basebll. Hitting a baseball is not about theory it is about "Want To." Learn and know well your five esential elements of hitting and add these two words highlighted and provided below into your dictionary of baseball words or terminology as best hitting tips to gain recognition as a great hitter. Circular and Torque I dare not discuss the words and how they relate to becoming a great hitter with you at this time but Contact Us and I will gladly provide not only the answer but the Why? Many hours of sweat out there on the playing diamond has honed you to be razor sharp ready and you are well prepared physically and mentally to muster all the elements of hitting into one neat package without the need to think it must now all be on automatic pilot using your self assured reflex actions. Hitting a baseball is not an exact science it is an art and all master artist have attained greatness by applying the principles of art/science/physics/mechanics/ and all the things which you can possible imagine. Sometime in the course of a ball player, coach or baseball fans association with our game of baseball someone provides information which if really taken to heart and truly understands the deep lesson provided it boosts the art of hitting to a higher plane. From the in-the-hole position (2 batters ahead of you) Your helmet is on and you are focused on the game! What’s most important to your team right now? Is it early or late in the game, what’s the score? Is it more important for you to get on base or knock in runs? Watch the pitcher, your baserunners & learn from your teammate now at bat. Now you are at the on-deck hitting position Watch & think only about the pitchers fastball and his offspeed pitch. Which one does he throw when he needs a strike. Most often, it’s a youth pitchers fastball. If he can’t throw his offspeed (most likely curve or slider) for a strike, you win the lottery…(wait for) sit on and crush his fastball…until you get to 2 strikes…then you just battle…Keep it this simple for now?! Coach John Peters has painted a routine which should be the ultimate practice and applied in BOLD PRINT as the best hitting tips ever given to a baseball player with the "Want To" of being a hitter. That self assurance gains momentum game after game when you have full control of body, bat and the hitting mechanics with a total focused concentration as a hitter. Never forget your need to be a real baseball hitter is this: Natural-Comfortable-Focused-Concentration. 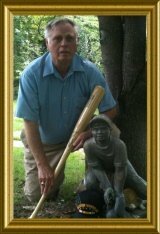 My best hitting tips are few for it is simply a matter of "YOU" do you have the right stuff and the real "Want To?" Baseballfarming supports the hitting skills which advocates that the "Splendid Splinter" Ted Williams has the honors as Baseballs Greatest Hitter. Bat speed is the go power or long ball mojo. "Some tweaking secrets to the art of Hitting." Push and Pull is the theoretical action to master for bat speed and control. PUSH with your back hand while PULLING with your front hand - the PUSH gives you better bat control while adding heft to the bat speed for power and adds the kick start to the start of your follow-through phase of the swing. Release your top hand off the bat as you reach the break over point of follow through - this gives you more extension which means more power. It takes practice to gain and feel the timing going from the concentrated bat speed swing and the precise follow through phase of your swing. .
Keep your hands out in front of your bat swing is emphasized by most hitting coaches - basically move your hands forward toward the ball so that the barrel of your bat comes slicing through the strike zone like a "cracking lightening strike" having maximum swooshing velocity. Hitting the bottom half of the ball adds distance - this causes back spin which will carry the ball farther. Make sure you are shifting your weight from your back foot to your front foot as you're powering through the ball. If you keep your weight on your back foot, you just simply cannot generate maximum power from your bat speed power lick. Make contact slightly in front of your body mass because this will be where you're generating your max bat speed. Too far in front, though, and the bat will be decelerating when you hit the ball. Too soon in your swing, and you won't be generating enough speed. This is why baseball hitting is such a fine art. Your hand grip should stay off the knob of the bats handle. A grip with a finger placed onto the know decreases leverage on the grip generating your bat speed and your max leverage = speed. Choose pitches for your "power zone". Every hitter has his own zone where he can hit with the most power. Try to be patient concentrate and focus constantly on pitch selection. Be comfortable but start your swing with your chin tucked near your front shoulder, and ending after contact with your chin going toward your back shoulder. This chin down head control is what provides that needed eye fixation concentration for hitting the ball. You will get a lot more speed into your bat swing if you have a relaxed grip rather than with a tight grip. Concentrate on your hands - keeping them relaxed, swinging them fast and pulling (accelerating) through the ball to maintain as much bat speed as possible. You'll be surprised what you are capable of if you apply proven techniques and practice hard. If you "WANT TO" hit with more power and consistency set your mind to do the due diligence of practice an perfect practice. Baseball Coaching Clinics: Baseball Coaching Clinics to be conducted at your school with one hour classroom Motivation plus "How To" Topics and two hours practical application on the diamond instruction.